Amazing top quality leather classic vest, comes with black color front snap button closure, two front pockets and two inside chest pockets, right and left. 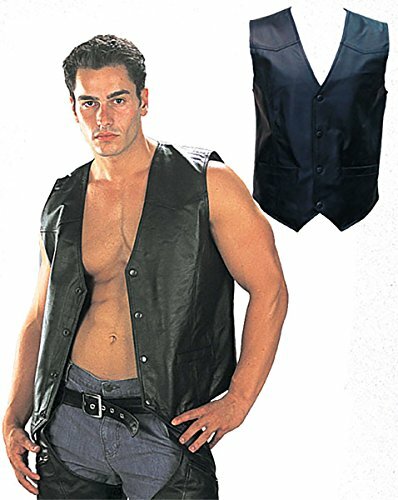 This vest is made of soft touch leather, a great value and quality all in one. Buy direct from our factory and save! If you have any questions about this product by USA Leather, contact us by completing and submitting the form below. If you are looking for a specif part number, please include it with your message.